Month after month, Team Members are discovering just how much is attainable when they set a goal to become Elite Honors Qualified each month. Team Members who have qualified multiple months are seeing the fruits of their labors and some are going the extra mile by maintaining their highest pin titles to earn the Go Elite Promotion bonus. Nick and Penny Neufeld, Stars from British Columbia, Canada, understand what it means to be busy. Caring for and homeschooling seven children is a full-time job on its own, however, Nick has a full-time job as a general contractor, and both Nick and Penny make time every day to kindle their Synergy business. 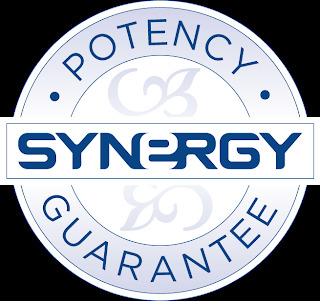 Chuck Pinnell introduced Synergy to Nick and Penny, and they finally got involved in the business after noticing the real and impactful effects that Synergy products were having on a handful of their immediate family members’ lives. Once friends and family began to notice differences in the Neufeld household’s health, they started asking questions. Synergy product orders followed from people in their neighborhood, people Nick works with, and people at church. As new Synergy distributors, Nick and Penny have latched onto the Elite Honors concept because it gives them a straightforward approach in monthly goal setting. In October, the couple became Elite Honors qualified and earned a Go Elite bonus! They will continue working toward Elite Honors qualification each month to help them reach the Bronze title. “Chuck Pinnell is an incredible mentor and has been in network marketing for years, so we feel fortunate to have him on our side. He introduced Elite Honors to us, but didn’t push it. We were originally worried about joining a network marketing company because I was involved in one before and it was too time consuming. I couldn’t be at home helping with the kids after work because I would go to meeting after meeting. Synergy isn’t this way, though. So far, everything has been attainable, including Elite Honors. Becoming Elite Honors qualified and earning the Go Elite bonus was definitely a goal we set, and it was nice to know it was achievable. I have a new distributor who said the same thing. He loves having small goals to reach for that are already established. Synergy Customer Service and the Synergy Store will be closed Thursday, November 26 and Friday, November 27 for the U.S. Thanksgiving holiday. Normal business hours will resume on Monday, November 30. Sandra Rangel, a Bronze from Florida, is a medical doctor from Columbia who now practices holistic medicine. After dealing with some of her own medical complications, her views on what it takes to be healthy shifted. While in Finland, Sandra met Emerald Executives Eric and Kati Gammals who introduced her to Synergy. Being a doctor, Sandra knows that the majority of health supplements manufactured today should not be trusted. 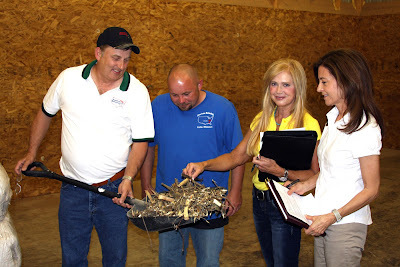 However, after meeting the brains behind Synergy’s quality and research teams, touring Nature’s Sunshine’s and Synergy’s manufacturing facility, and exploring the Hughes Center for Research and Innovation, she knew Synergy products were different. She has been recommending Synergy products to her clients, friends, and family ever since. “Eric and Kati challenged me to become Elite Honors Qualified, and I’ve accomplished this challenge two months in a row. They have been great examples to me. I know that if I continue to become Elite Honors Qualified I can build a stable income and live freely. I believe in Synergy products, and by believing in them I am also earning a living and building something bigger. I have a broader vision of what’s possible through Synergy. Cheuntel Kunkler, a Star from California, is a healer who helps people regain their health through natural remedies. She created a wellness program for her clients that includes Synergy products. After changing her poor health around, she found purpose in helping others do the same thing. She turned to nutrition and ingredients that are found in Synergy products to help her on her journey to wellness. Cheuntel has been an entrepreneur for 25 years and a Synergy Team Member for two years. Due to her background in entrepreneurism, she said she has been introduced to a number of direct selling companies, but found that Synergy WorldWide fit best with her personal beliefs and goals. Her Synergy business has been primarily focused on bringing in customers, but now that her customers have built a belief in the product, Cheuntel as seen a growing interest in her customers wanting to become distributors. “My sponsor Bill Muth encouraged me to sign up two distributors in October, so I did both the last day of the month! I work full time and usually do 10-12 massages per day, so I have a lot on my plate, so I rely on the people who come through my studio door to become my customers and distributors. I keep Synergy product in stock in my studio at all times and I get a lot of customers this way. I make my Synergy business part of what I do every day. Team Members are still charging full steam ahead in pursuit of becoming Elite Honors Qualified for the first time or maintaining the EHQ title. The Elite Honors program is streamlining the way organizations do business with Synergy WordWide while maximizing each Team Member’s earning potential. Team Members following the program are seeing the extra rewards that are made possible through the Go Elite promotion as they continue doing what they’ve been doing all along—building their Synergy businesses. November is already off to a great start. Let’s keep the momentum going! Train your team on the importance of becoming Elite Honors qualified through the Synergy Opportunity Webinar as you achieve this highly sought after title yourself. Can’t wait to see the success that this month brings. Good luck! As many of you may know, the term “organic” refers to a plant growing method that does not use synthetic chemicals. The extensive farm audits and raw material testing our quality control team performs ensures that all of our herbs and raw materials meet organic standards. Because of our strict internal testing, we do not pursue third party organic certification for any of our finished products. The organic certification process is primarily for marketing purposes. When applicable, our purchasing department will look for organic-certified ingredients. However, several ingredients are not candidates for organic certification. Plants that are wild-crafted are not grown on farms, and hence cannot be certified organic. We obtain several herbs from outside of the U.S., and very few countries outside the U.S. have any kind of standard for organic certification. We only partner with suppliers that meet our strict quality standards. The extensive inspections and audits our teams conduct on each supplier and their products ensures that our herbs meet organic standards. When you purchase from Synergy WorldWide, you are guaranteed products with no residue from fertilizers, pesticides or other types of contamination. Remember, if an independent organization has a product with an organic certification, this certification does not necessarily mean the product contains high quality ingredients. Organic items can still be contaminated through water sources unknown to the growers. The real proof is in the testing, which Synergy conducts according to the strictest quality assurance practices in the industry. You can be sure that we provide the highest quality products with the highest purity standards. One of these Team Members is Kent Clark, a Bronze from Wingo, Kentucky, who has been with Synergy WorldWide for a short three months and is using his medical background to connect with health practitioners in his area. He was in chiropractic work for many years, but recently found his passion in natural healthcare and became a practitioner. He believes in Synergy’s products and works as a consultant with his sponsor Dr. Jim Sandberg to get the products into as many doctors’ hands as possible. Since beginning his Synergy business, Kent has been working nonstop to grow his team, and in September, he accumulated enough volume to become Elite Honors Qualified without realizing it. He was educated on the Elite Honors earnings model and set up an Autoship template to make his Elite Honors Qualification official. In the same month, he rank advanced to Bronze and was rewarded with a $300 Go Elite bonus. His current goal is to put 10 new people on a 500 CV package of Synergy products each month. Another important element in his business is showing doctors how to make 15,000 CV per month with the Synergy product package Kent put together. Kent said he believes these goals will not only help him become a consistent Elite Honors Qualifier, they’ll help him maintain his current title, achieve new titles, and earn the Go Elite Bonus every month. “As I learn more about training my own downline, Elite Honors will serve as a useful talking point that will make the learning process a lot easier,” Kent said. Dr. Matthew Tripp reports from the Hughes Center for Research and Innovation, discussing the clinical study currently underway. Enjoy this look inside the Hughes Center and learn how its clinic functions. Listen to Dr. Tripp describe the important parameters of the current study, and see the Synergy commitment to cutting-edge research and the development of products and systems that will help people across the globe.